Preterit (-ar, -er/-ir, 5 irregulars) plus U1L2 vocab from Avancemos II. 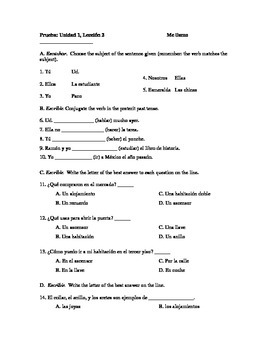 Listening section in which students identify the subject based upon the verb form, conjugation practice, multiple choice using vocabulary and verbs, creation of sentences. 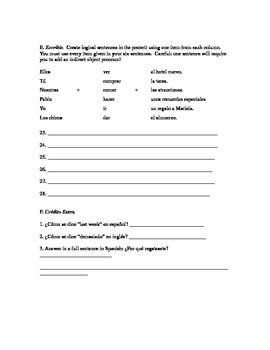 Listening script and answer key provided.